When it comes to bedding, we are all about florals. We know, floral prints seem cliche and maybe a bit matronly... but we're not talking about your Grandma's florals here! 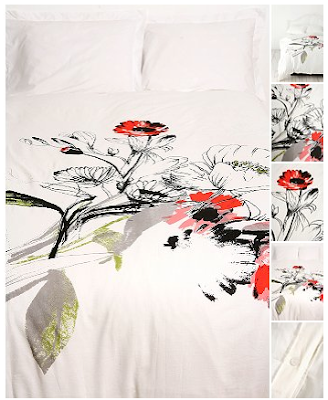 We're talking a white canvas with a burst of color featuring a sketched wild poppy design. It's vibrant and bold, but still minimalist. Take that, pink roses! 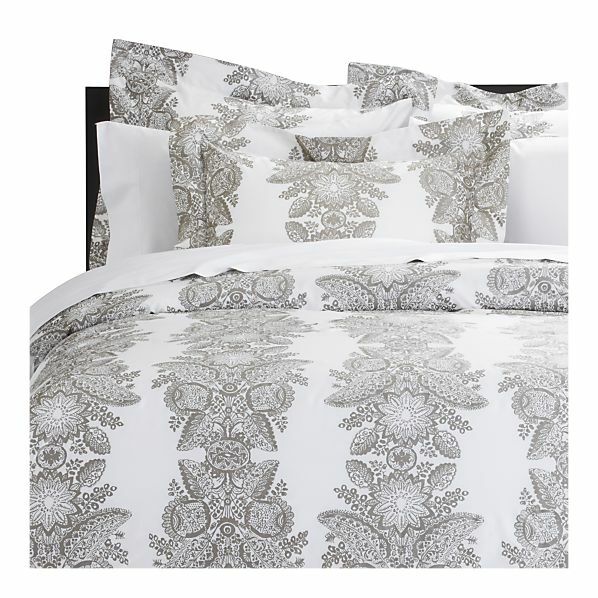 While we love florals for bedding, if you're not a girly girl (or your guy is sick of sleeping in pastels) go for a more modern, hip look with this duvet cover from CB2. It's covered with "urban" designs (whatever that means) including coffee mugs, dogs, scooters, and rabbits... oh my! If you look forward to curling into bed with a good book, then you'll love wrapping yourself up in this duvet covered with love letters. 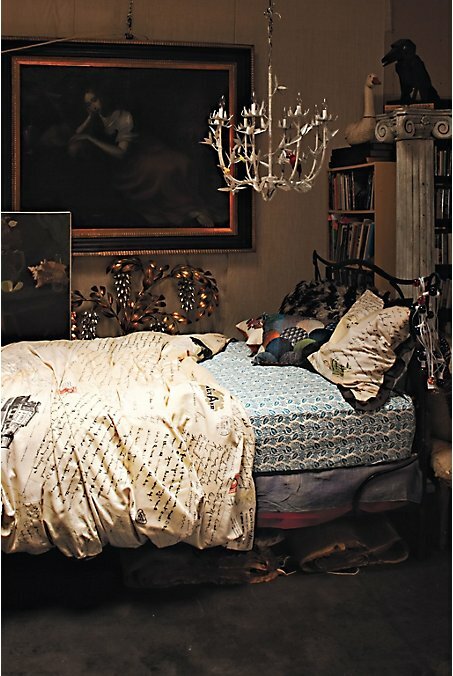 This unique duvet cover collects real love letters from a vintage shop in Brooklyn, which is perfect for those who are romantics at heart. 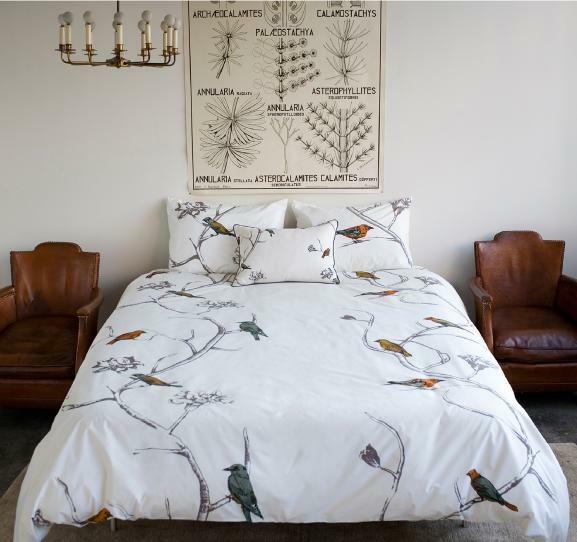 Another gender neutral pick is this bird design duvet cover by Chinoiserie. It's simple and uncluttered, but still very unique and eye catching. 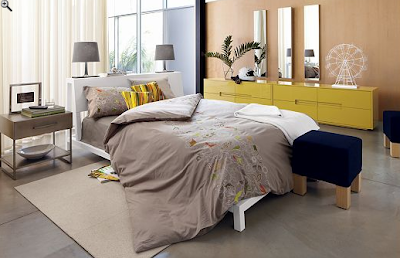 Keep it earth tone with white, beige, or grey sheets, or add a surprise with some hot pink layers underneath. Keeping with the bird theme, we love this hand painted duvet cover from Urban Accent Home. This artist has a number of different duvet covers featuring bird designs, which reflect a cool, minimalist style. Okay, back to the florals! Ikea has some of the most affordable prices around for duvet covers, especially if your purchase them in store. 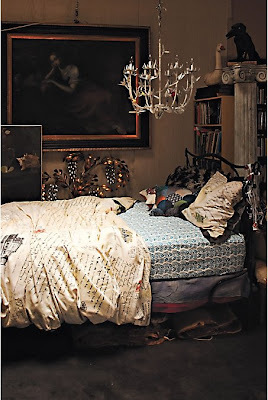 Their designs tend to be a bit more whimsical and bold, which can make bedtime fun for all ages. We like this vibrant, two-sided floral design, as it's a nice balance of color and design. It will pretty much go with any bedroom color scheme, as it includes all the colors in the rainbow! Have trouble matching your bedding to your custom pea green walls? 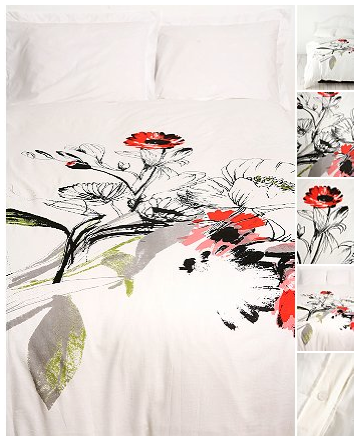 Go for something simple and neutral like this Marimekko duvet set available at Crate and Barrel. This set features a metallic silver designs that is both modern (without being minimalistic), chic, definitely friendly for walls of any color. 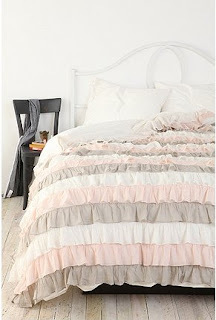 And, finally, a treat for all you true girly girls, this lovely ruffled duvet cover from Urban Outfitters. Dream the sweetest of dream in this ice cream inspired set, perfect for dressing up even the simplest space.